We only provide high quality, accurate language translation services and while we may offer some of the lowest prices for professional translation, we never compromise on quality. Our working method involves successive phases based on the level of complexity of the text to be localized, always using a native translator, and if necessary collaborating with specialist text revision editors, proof readers and marketing and communication consultants for the target market. The objective of every project is to develop language and tone to fit the type of publication and the market sector for which the translated text is intended. It is the difference between a simple text conversion and a complete content adaptation that can determine the effectiveness of the message. 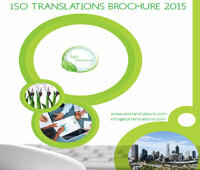 We fully understand this, and therefore this is the added value we offer our translation and localization clients. Software localization includes a huge variety of engineering tasks, not just translation. Therefore, we maintain a strong software engineering division which focusses on the engineering tasks involved in software localization, from preparing localization kits to software building, testing, and creating CD images. We have successfully delivered many localised software products as a result, and our customers are confident about the success of future projects. We are convinced that we will never disappoint our customers because of our outstanding resources record; superior talent, expertise, tools, established processes and proven business model. If you are looking for a partner to provide better software localization, contact us today. Just supply us with the necessary details regarding your needs and expectations, and you will receive a proposal stating how we will meet your specific requirements the next workday. This service is free and completely confidential, without obligation. The World Wide Web has become a truly international medium making communication an instant process. To effectively reach the new marketplace and capitalize on more accessible foreign markets requires a multilingual presentation of products and services. 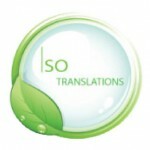 We provide specialized translation services and cultural adaptation to take websites to their international audience. We ensure cultural relevance; idioms, colloquialisms and subject-specific technical terms are appropriately conveyed in the target languages. Please send us your website address and we will give you a quote for the total number of words including delivery in html or any other format your site is based on.